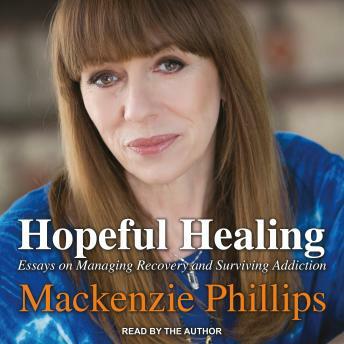 Actress and author of the courageous New York Times bestselling memoir High on Arrival, Mackenzie Phillips-Hollywood's go-to person on substance abuse and a visible and outspoken advocate for addiction awareness and education-brings her knowledge and voice on the subject of recovery for the first time, and shares her experiences for those who are trying to overcome addiction. Mackenzie Phillips grew up in a dysfunctional environment and subsequently battled a near-fatal drug addiction. Now, delivered with warmth and candor, she presents the wisdom she gained from her own personal journey through addictions and her understanding of practical treatment from her work as a rehabilitation counselor. Using her own life experiences as examples of proven recovery methods, she shares the tools and holistic approaches that are available to help you on your journey to recovery. Treatment is not 'one-size-fits-all,' and Mackenzie encourages addicts and their support networks to research the methods that most effectively address their individual physical, mental, and spiritual well-being. Used by both recovering addicts and their families, Mackenzie's book is a message of hope and reminds us that sobriety is a lifelong journey of the spirit that allows us to lift ourselves up.